A new genus, Vientiana gen. n. with the species V. patricki gen. et sp. n., is described from the central part of Laos. The new genus represents a separate lineage in the subfamily Anacampsinae. It is somewhat related to Battaristis Meyrick, as the male genitalia of the Far Eastern species B. majuscula M. Omelko et N. Omelko and V. patricki sp. n. have a similar plate-shaped juxta. The genus Semophylax Meyrick has hitherto comprised only two species: S. apicepuncta (Busck), known from the southern North America and northern South America, and S. verecunda (M. Omelko) (nomen correctum! ), described from Vietnam by a single male. A new species, S. crassiuscula sp. n., is described from southern Laos and the previously unknown female of S. verecunda is documented and illustrated, based on material of both sexes collected in central Laos. Original Russian Text © M.M. 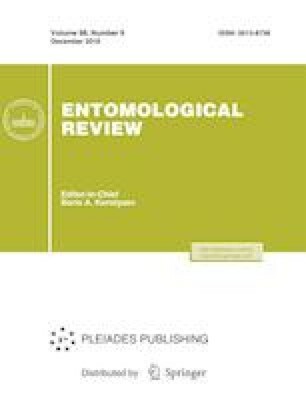 Omelko, N.V. Omelko, 2018, published in Zoologicheskii Zhurnal, 2018, Vol. 97, No. 11, pp. 1394–1399.